I have to confess New Year’s Eve is one of those events that I dread and look forward to all at the same time. It is a little said to say goodbye to the past year, come to the realization that all the events that have happened over the year are just a memory now and so on, but it is exciting to think all of all the possibilities the New Year holds, the events that have yet to be unfolded, and the new memories and opportunities that are waiting. Another thing I dread and look forward to on New Years Eve is the crowd. Once I am at a party with I a good crowd of people I am a happy person and definitely have a fun time, but I do dread the crowd until I am actually in it. Depending on my mood on New Year’s Eve I either stay in and watch the ball drop in time square, go out to dinner with a few friends, or go all out and go to “the” New Year’s Eve party that is happen that year. I have yet to determine which avenue I am go to go this New Year’s Eve, but one thing is certain – I will be wearing sequins. The best part of New Year’s Eve is that you get to dress up, and no amount of sequins or glitter can ever be enough for this one night of the year. It is hard to believe that there are only three day left of 2014! 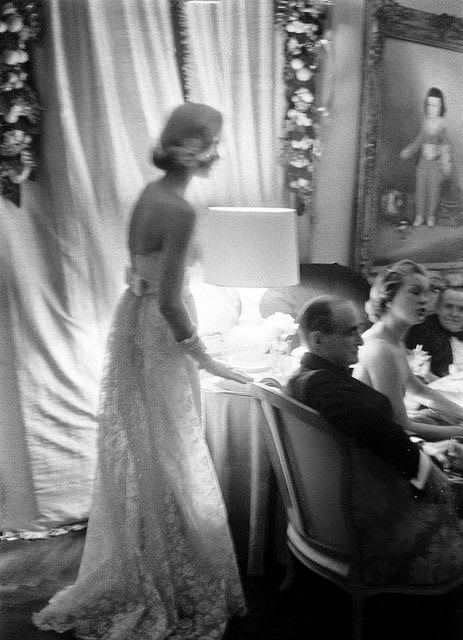 Three days is still enough time to find the perfect dress to bring in 2015 with. Something tells me that 2015 is going to be a pretty great year so here are a few equally great dresses to ring in the year! I can totally relate to your love/dread for NYE. I'm definitely not a crowd person either, I get so claustrophobic and I hate the freezing cold thats involved with NYE in upstate NY. That first dress is stunning though, I need to go someplace warm one year so I could wear something similar! I know what you mean - I used to love crowds and fed off the energy of other people but know I prefer smaller gathering. I love that first dress, the sequins on the back just make it! Sequin dresses are the best! All of these dresses are perfection! I am loving the black bow back one, so pretty. I think the outdoor events can become to cold to enjoy. I rather stay in with family and friends and just have a nice dinner together. I agree it can become very cold on NYE and sometimes it is better to have a nice dinner in with friends and family! Lovely picks. I can't choose a favorite. I hope you will post a picture of your sequined dress after the NYE party. Happy to see you enjoyed these picks! Hope you have a wonderful NYE! Sequins are always a good idea :) Great choices! 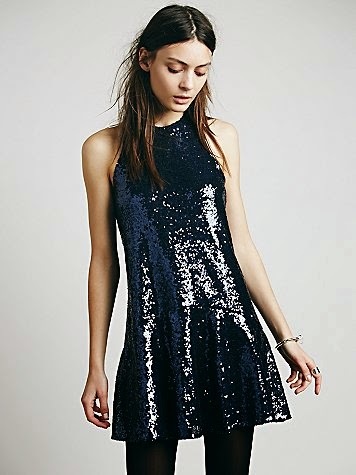 You can never go wrong with a sequin dress for NYE in my opinion. I hope you are having a great start to the New Year!